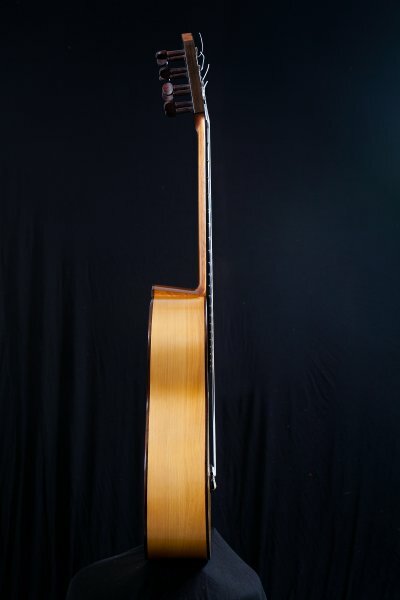 Description: 8stringed Flamenco Blanca guitar, total guitar length: 950 mm., Cypress ribs, height of the sides: 96 mm to 112 mm, guitar neck made of Honduras Cedar with a truss rod accessible from the soundhole to control the guitar neck relief and strings action over the fingerboard. Flamenco guitar thickness (included the Ebony fretboard): 17 mm to 18 mm. Action of the strings over the frets at 12th fret: 2,5 mm. to 3 mm.